Court of Appeals Makes It Simpler for Injured Plaintiffs to Prove Liability of Defendant - Leandros A. Vrionedes, P.C. Succeeding on a personal injury claim for damages against a large, wealthy defendant isn’t simple. 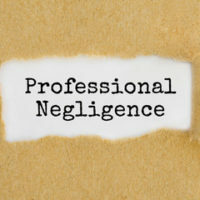 To make matters worse, some plaintiffs are forced to try and prove a negative by showing that they were not themselves negligent in causing their injuries while also proving that a defendant was responsible for those injuries. Now, a decision by New York’s highest court has barred that practice, making it easier for plaintiffs to show that a defendant was liable for their injuries. Read on to learn more about the change in New York personal injury law, and contact a Manhattan personal injury lawyer for more information. When an individual is injured in an accident and files a claim for damages in court, they may choose to file what’s known as a motion for partial summary judgment on the issue of liability. With this motion, the plaintiff is essentially arguing that there is no disputing, based on the essential facts of the case, that the defendant was legally responsible for their injuries. These motions can make trials for personal injury claims shorter by allowing the trial itself to focus only on the damages that the plaintiff is owed, rather than focusing on both the defendant’s liability and damages. Prior to the recent decision, some New York state courts would deny these motions when they found that plaintiffs had been unable to prove that they were not negligent in causing their own injuries. This resulted in what the Court of Appeals called a “double burden” on plaintiffs; the plaintiff would need to prove both that the defendant was negligent in causing their injuries, and that they themselves were not negligent in causing these injuries. The Court of Appeals, New York’s highest state court, has ruled that plaintiffs only need to show that a defendant was liable to win a partial summary judgment motion. New York law still permits defendants to present evidence that the plaintiff’s injuries were made worse or caused in part by their own negligence, and this can reduce the amount of damages that the plaintiff can recover. However, these arguments won’t be permitted until after any summary judgment motions have been decided. If you’ve been hurt by someone else’s negligent or careless conduct in a New York accident, get help recovering the money damages you’re owed by contacting the knowledgeable and trial-ready Manhattan injury lawyer Leandros A. Vrionedes for a free consultation at 212-889-9362, or in Queens at 718-777-5895.